The past couple of weeks have been insanely hot! The upside is that it makes it easy for me to justify staying indoors to work on getting new items up in the shop. 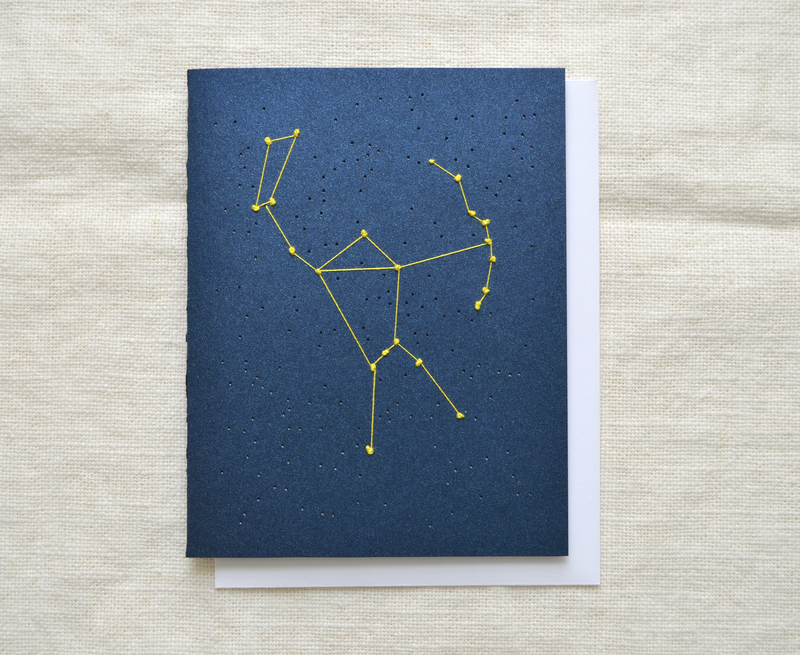 First up, new constellation cards! Most people don’t recognize the constellation of their zodiac sign, but Orion and the Big Dipper (Ursa Major) are two constellations that are among the easiest to identify. 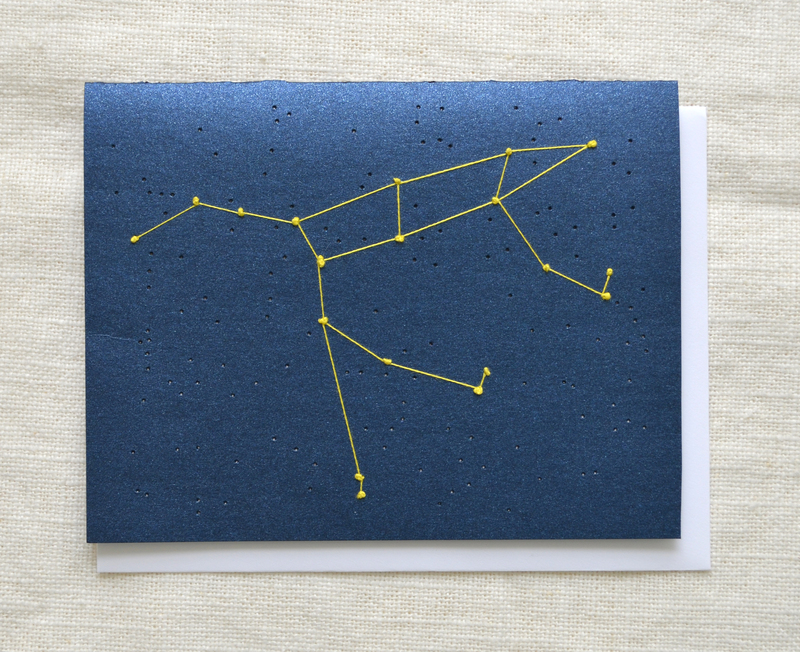 I had gotten a request at a market awhile back for Orion, so I thought I would add a couple more constellations to the constellation series of cards. I’ve also expanded the selection of notebooks to include these sketchpads. 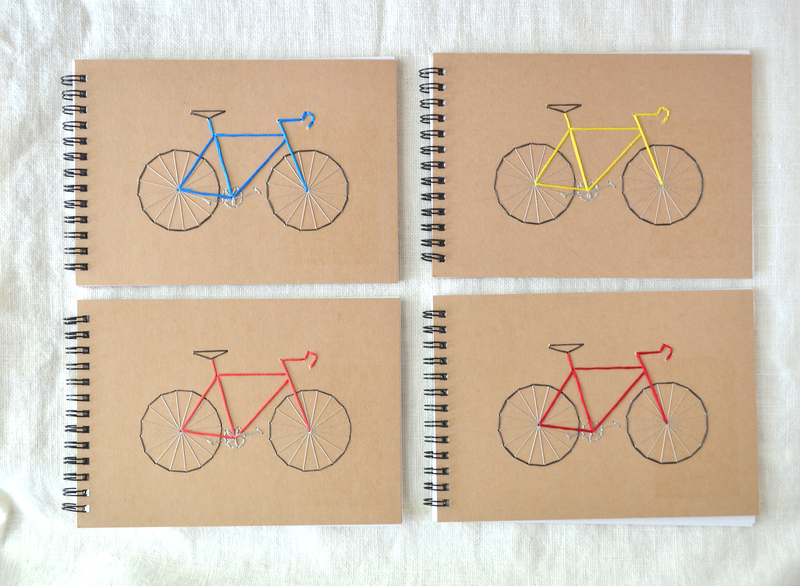 Due to the popularity of the bike mini-notebooks, I added bike sketchbooks. 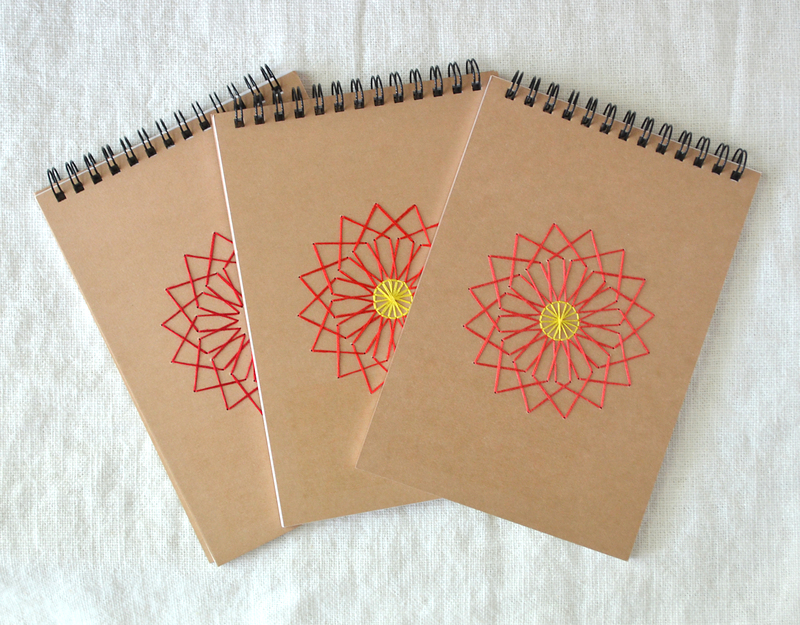 There are also flower sketchbooks and other designs. 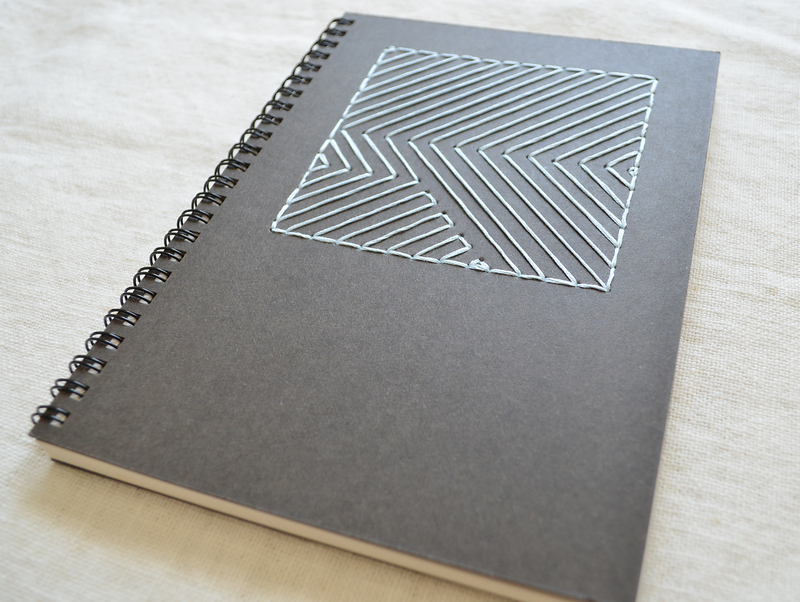 I’ve also listed the black and white notebooks that I premiered at the Handmade Cavalcade. 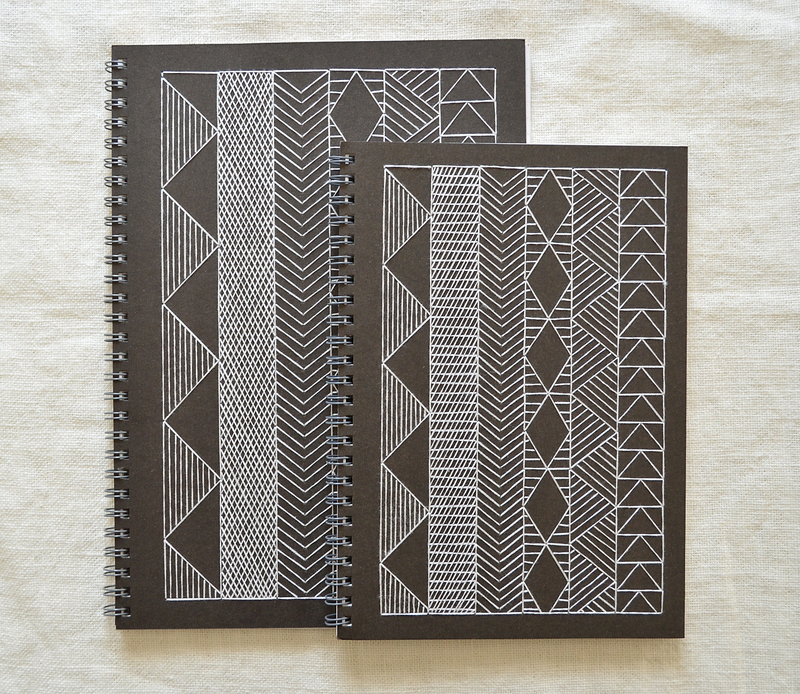 These include the small and large versions of the notebooks inspired by the earth houses of Burkina Faso and modified chevron design. I’ve shot pictures on several more items, and I’m working away on other projects with a big impending deadline, so hopefully I’ll back soon with updates on those!